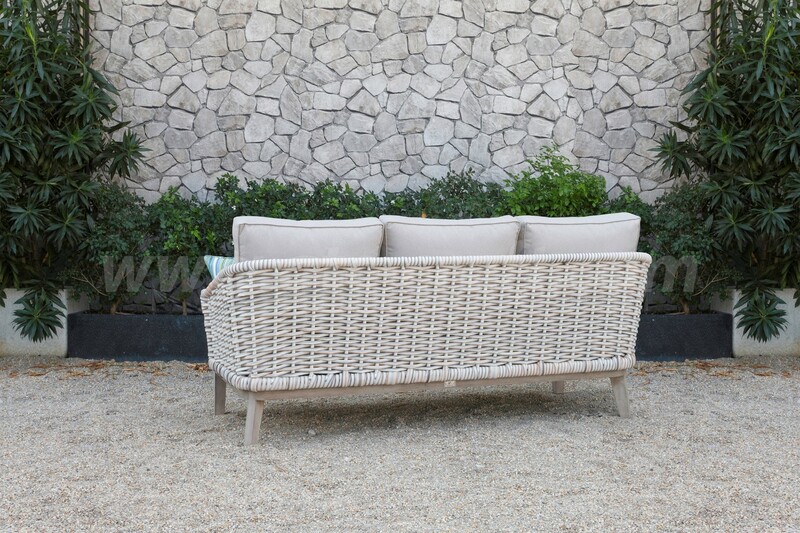 The sofas are woven from a new special plastic rattan, called SIGMA. 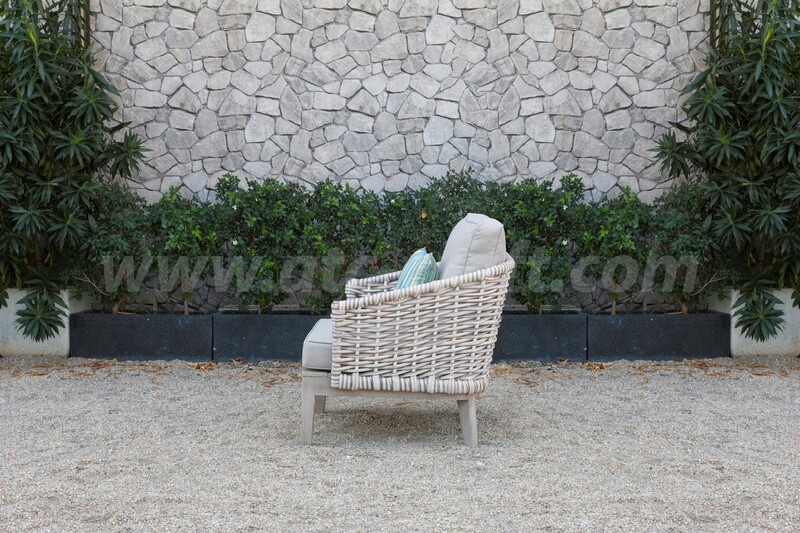 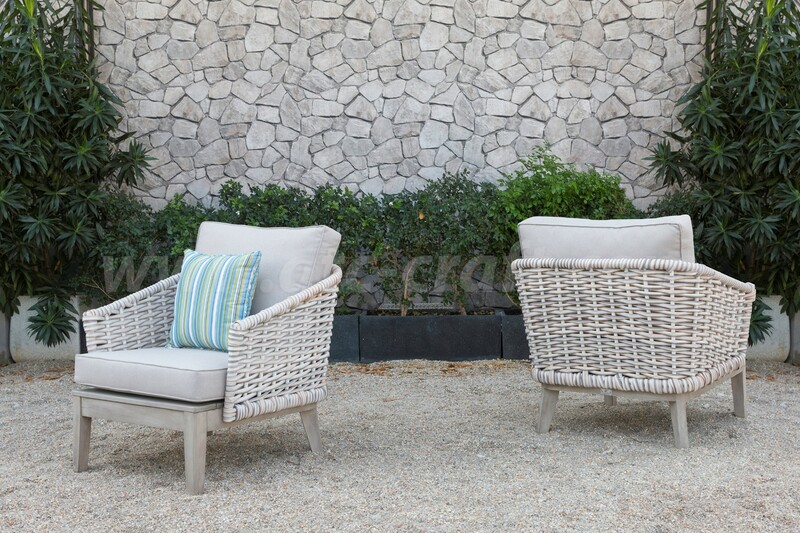 Thanks to the modern and durable design, this round wicker sofa set with unique design gives you a feeling of peace and comfort. 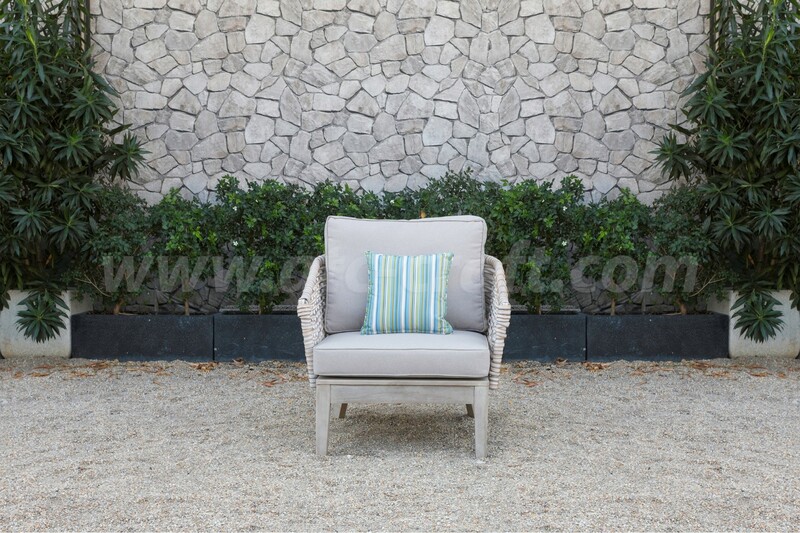 This new design will brighten the space in your home and garden. 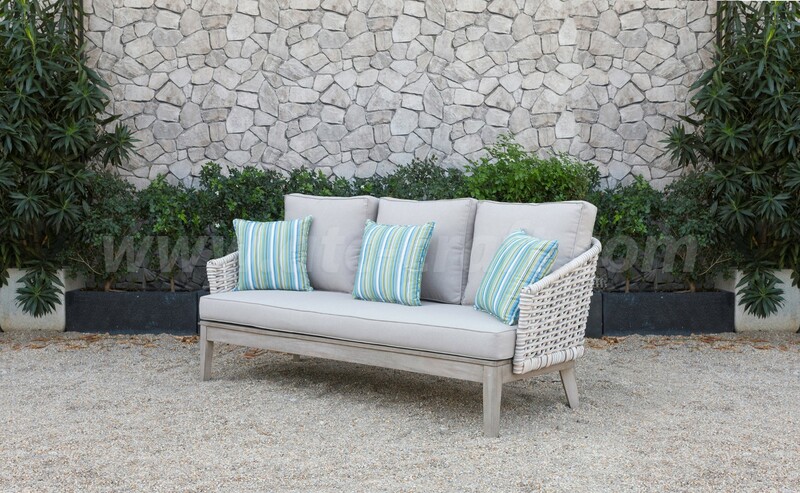 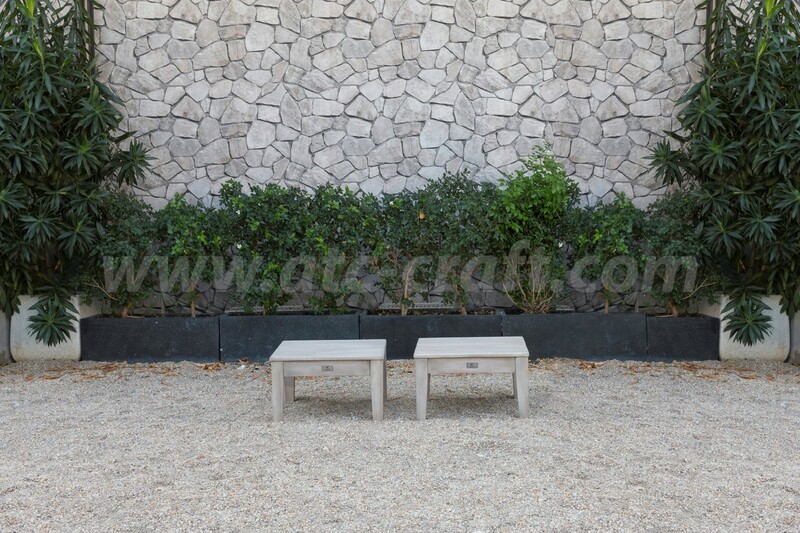 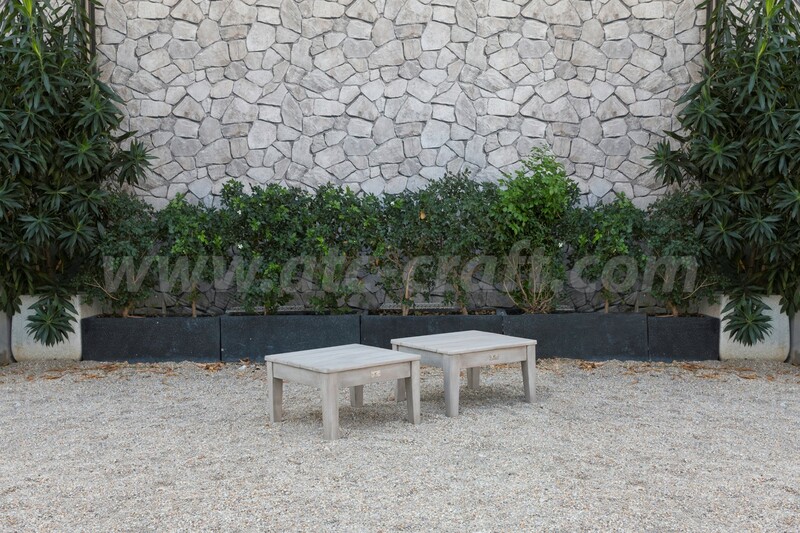 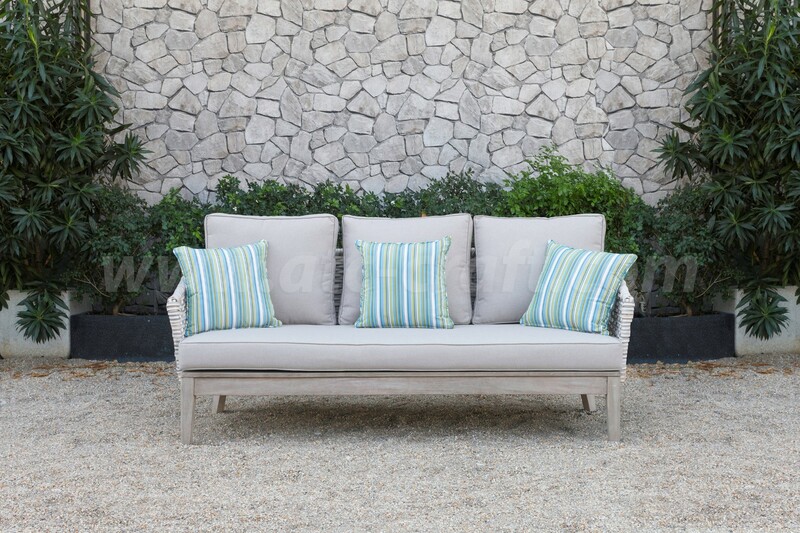 Outdoor Sofa Set. 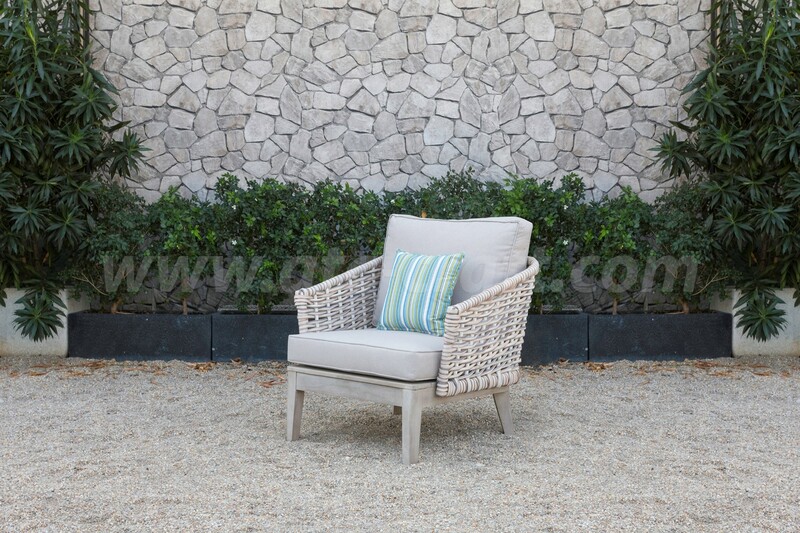 Round wicker, powder coated aluminum frame, wooden legs, 10cm thickness cushion, water resistant fabric (250g), piping. 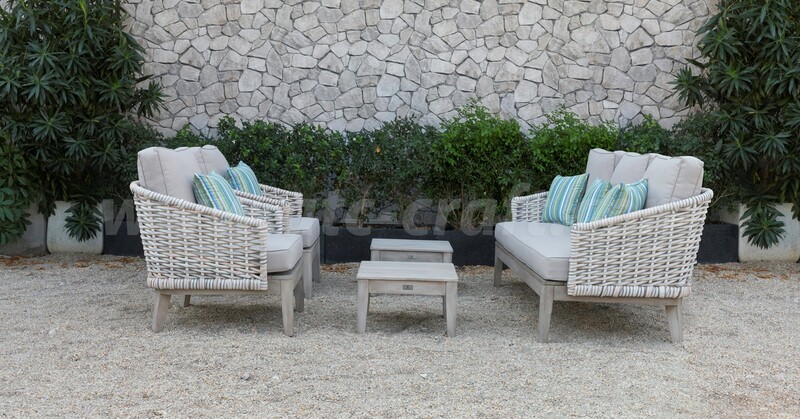 • Pieces Included: 2 Single Sofas, 1 Triple Sofa, 2 Wooden Tables. 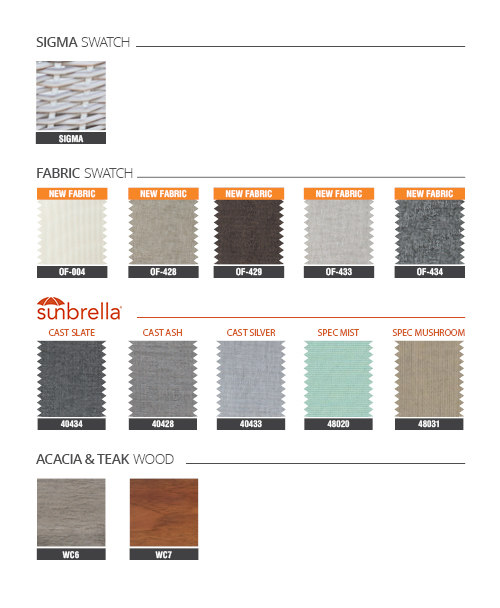 • Durability: Weather Resistant; Water Resistant.